Once you’ve decided that yoga is the thing for you, you ought to invest in a studio membership that’s unlimited. It makes perfect sense since it frees you up to carry out your preferred form of exercise without having to be cramped by specific timings. The best factor about having unlimited yoga studio membership is that it allows you to practice yoga in a designated yoga zone where all your energies can be fully concentrated on yoga and nothing else. While yoga is something you can easily do at home after having done the beginners session, or indeed anywhere at all, coming to a yoga studio gives you the advantage of not being distracted by little things at home or taking shortcuts. Once you come to a space that is removed from the home environment, you can be physically and mentally focus on yoga and nothing else. This becomes your peace zone, your me-time away from the pulls of office and home. Additionally, you have the freedom to participate in any of the yoga sessions that happen through the day so you get multiple benefits of practising with the energizing instructions from yoga teachers who may be coming to the studio at various times. Some exercise forms like yoga which is a whole body and mind workout are wonderful to do in groups. So when you do it in a yoga studio, it not only ensures higher motivational levels but also gives you the opportunity to meet and mingle with like-minded people who have a more holistic approach to life. Typically, yoga practitioners end up forming a positive, uplifting well-knit community of sorts. 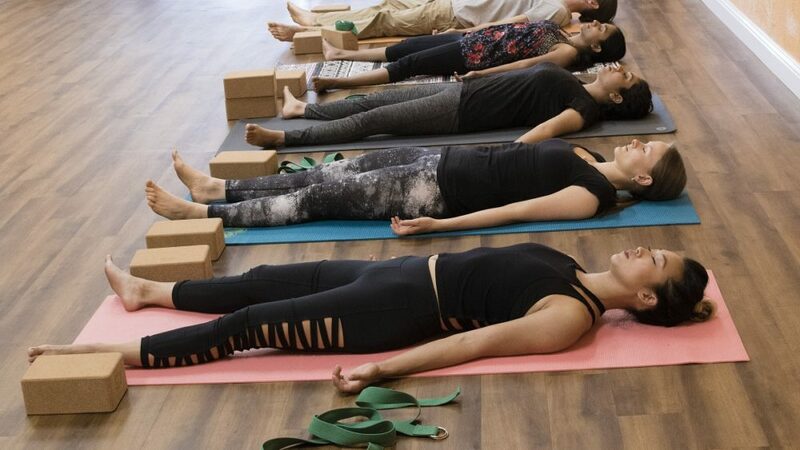 At a yoga studio, you can easily belong. If you are thinking about the higher cost of unlimited yoga studio membership, then rest assured that you will get more than your money’s worth. It the long run, it will be more economical than a one-session membership. T.H.I.N.K. It’s your life. And if you are in Santa Clara, opt for ‘auto membership’ and you get to make the most of the unlimited yoga classes.